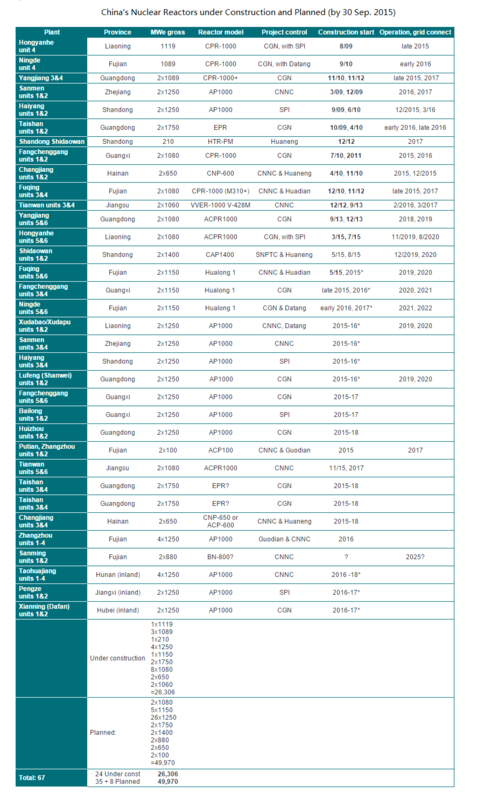 The thirteenth Five-Year Development Plan for 2016-2020 of China has been discussed broadly since it had been released this year, of which the nuclear industry is a significant component. As the Director General of IAEA Yukiya Amano said recently, “The development of nuclear energy is shifting increasingly toward Asia with China playing a central role”, China shows the world great opportunities in its nuclear industry. Based on the plan, China’s total installed capacity of nuclear energy should reach 58 million kW by the end of 2020, additionally with 30 million kW of nuclear power reactors under construction. This target urges China to build 6-8 nuclear reactor units per year. Today there are 28 nuclear reactor units operated, of which the installed capacity is 24 million kW. Besides, the inland nuclear power plant program will be approved in the next five years. 12 inland province have announced their nuclear power plant plans of which 31 sites have been proven the feasibility. With the rapid and aggressive construction plans, the Chinese might turn to international vendors to improve operations, capacity factors and supply chain matters. 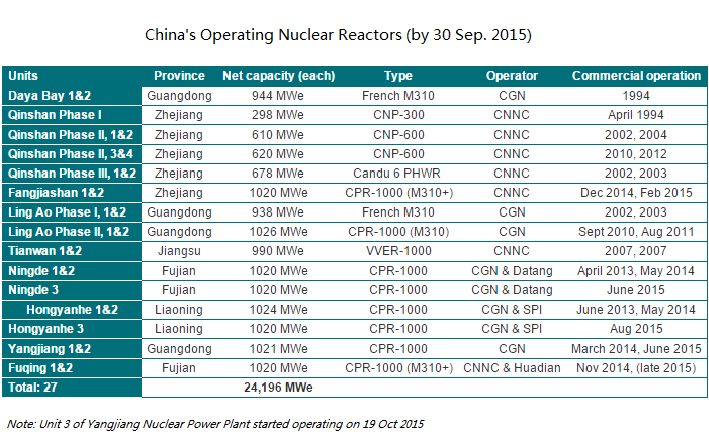 On June 2015, a new round of IPO of China National Nuclear Corporation (CNNC) shocked the whole stock market. According to a company statement posted on the Shanghai Stock Exchange’s website, the company locked up 1.69 trillion yuan ($273 billion) in bids for its IPO. The offering may be the biggest in China since August 2010. The plan’s target of 58 million kW of nuclear power capacity is expected to increase economic investment directly with 1.2 trillion yuan ($189 billion) into the nuclear industry. The investment will not only involved to nuclear power plants, but will also be related to the entire value chain of the nuclear industry from start to end. Nuclear technology education, nuclear site construction, nuclear fuel and power plant equipment supply all could be a part of the investment. 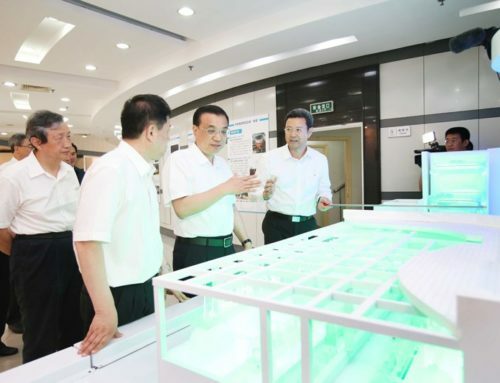 Last month President of China Xi Jinping visited the United States with a team of top Chinese enterprises including CNNC. A technology cooperation agreement was signed between CNNC and Terrapower to develop and commercialize together the fast neutron reactor technology. 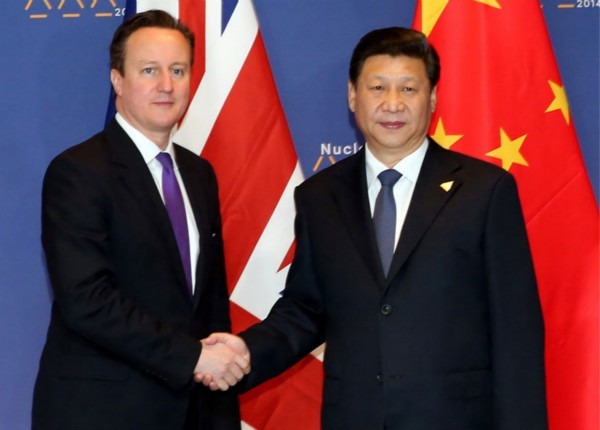 On 21 Oct, when President Xi is visiting the United Kingdom, another contract of China General Nuclear Power Corporation (CGN) holding 33.5% shares of Hinkley Point C and building a Hualong-1 reactor unit in Bradwell B was signed. He Yu, the president of CGN commented the contract as a milestone of China’s nuclear industry that China’s nuclear technology could be recognized by such a developed country with a long history about nuclear technology. In the next five years, China will continue its steps going out. Today, there are over 40 countries who do not have nuclear energy but have the plan of it, which is regarded as a big opportunity for China’s nuclear industry enlarging its international shares. As one of the countries, Kenya has signed a memorandum of understanding with CGN about nuclear cooperation this year in September. 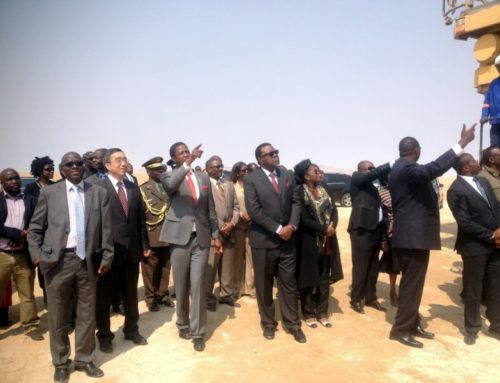 As a part of the deal, China will provide support of financing, nuclear education, site selection and nuclear power plant construction to this African country. 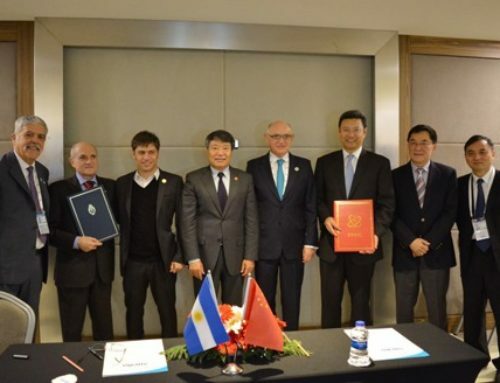 Besides, China has also built a cooperative relationship with Argentina and Romania on nuclear new build programs earlier this year that CGN will invest about 6 billion euro in Romanian Cernavoda nuclear power plant and CNNC will provide a long-term technology, equipment, and financing service to achieve Argentina’s nuclear plan. China’s is keen to increase their nuclear export and be a leader in the market. This could potentially open opportunities for international firms to partner with the Chinese in the export market. China’s nuclear technology was planned to focus on two parts in the next few years. One is to enhance the safety assurance technology of a nuclear power plant, including the research on nuclear power plant emergency response system and comprehensive and accurate radiation monitoring devices. On the other hand, this plan also mentioned that China will put more efforts on nuclear technology education and international human resources communication. The emphasis for next five years is still on further improvement of Hualong-1 technology which was independently designed and developed by China. There are 6 units of Hualong-1 have been proven to build in China by the government so far, of which the unit in Fuqing Nuclear Power Plant and Fangchenggang Nuclear Power Plant have all commenced their construction. With the influence of the Fukushima disaster, during the twelfth Five-Year, the development of nuclear industry in China was slowed down and more focused on the security of operation. 5 years later after the disaster, China finally shows its enthusiasm of nuclear energy, as well as those big opportunities in this country. China’s nuclear industry will be discussed during the 4th edition of Asia Nuclear Business Platform which will take place 18-19 May 2016 in Hong Kong.